The English kings of Shakespeare’s history plays are so convincingly portrayed that they have become historical reality for most people. For example, we follow Shakespeare’s King Henry V from his early youth, enjoying his training for kingship. We are witnesses of his great decisions, we smile at his charming approach to women and we thrill to his military exploits. His great speeches are not only models of leadership but have become the very words of the historical Henry V, who may not actually have uttered a single word at the Battle of Agincourt. The Henry V we know is an invention of Shakespeare – and whatever historians may labour to tell us about the real Henry we will always think of Shakespeare’s Hal, the ‘warlike Harry’ stirring his men when we hear his name. Researchers at the University of Leicester, looking for the remains of Richard III, have been digging at the site of the Franciscan friary where Richard is thought to have been buried after his death at the Battle of Bosworth Field. The site is now a car park near Leicester Cathedral. The diggers are very excited at having found a skeleton that they believe to be the Mediaeval king’s remains. The bones are being DNA tested and the results will be made public in January. Their excitement is heightened by the fact that the deceased had a curved spine. 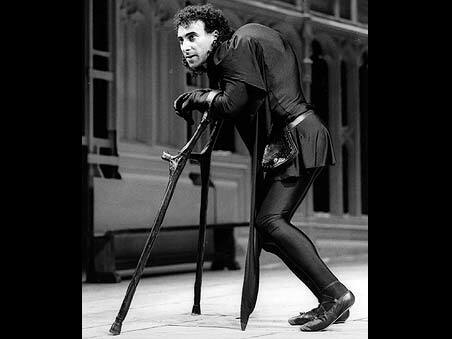 Richard is usually depicted as having had a spinal curvature of some kind, and he is a king Shakespeare paints as a hunchback, which is, of course, how we think of him today – a hunchback with a limp, which is how actors present him in performances of Shakespeare’s play. In the play Richard III is a villain. He’s treacherous, devious, murderous, vile and hateful. He’s hypocritical and two-faced, and double deals with everyone. Historians don’t see Richard in quite that way, though. Even the image of him as a limping hunchback is unsupported by historians, but the image of him that most comes to mind is the one created by Lawrence Olivier in the film – an enduring image of a deformed and ‘villainous’ king. 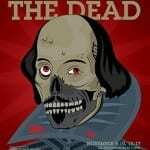 As for the real Richard III, it’s difficult to get at the truth. There was a lot written about him by contemporaries and near contemporaries but very little by men who actually knew him, and the accounts that we have are subjective – some supporting him and others condemning him. So there was a debate about what he was like even during his own lifetime. One historian, John Rous, Richard’s contemporary, described him as ‘a good lord’ with ‘a great heart’, but after Richard’s death and the beginning of the Tudor period Richard’s reputation began its downward spiral as a result of Tudor propaganda. Even Rous fell in with the spirit of that, now inventing some of the characteristics that became associated with the late king and picked up by Shakespeare. So Richard becomes a freakish individual who was born with teeth and shoulder-length hair, after having been in his mother’s womb for two years. He now has a stunted and distorted body. Modern historians generally see Richard as a brave and clever man whose sometimes questionable actions were more a result of the difficulty of approaching the troubled times he was faced with than of a villainous nature. They agree that his legacy was fairly substantial, mainly in the field of law reform. He introduced free access to the courts for people who couldn’t afford to pay for justice and he introduced the concept and practice of bail, to protect suspected felons from imprisonment without trial. It turns out that Richard was no more villainous or murderous than any other medieval king but we can’t get away from Shakespeare’s king Richard III. Whether it’s a good or bad thing that our view of England’s medieval kings is a fictional view – the product of Shakespeare’s quill – is hard to decide. It’s certainly the case, though, that Shakespeare made them speak and without Shakespeare they wouldn’t have a voice at all. And what beautiful voices they have!